Twelve UAE residents have made it to the Forbes' 2016 Billionaires List, with a combined net worth of a whopping $36.2 billion (Dh133bn). The US-based magazine today published its annual global billionaires’ list, which shows that the number of billionaires in UAE went up from eight in 2014 to 10 in 2015 to 12 in 2016. The combined wealth that the UAE’s billionaires have at their disposal has surged $2.1bn (Dh7.7bn) from $34.1bn (Dh125bn) last year. Among the billionaires from the UAE, five are Emiratis and seven Indians who’ve made the UAE their home. #1 Majid Al Futtaim tops the UAE list for 2015. He is the brother of billionaire Abdulla Al Futtaim, and isranked #270 among global billionaires this year (#230 in 2015). His privately-held holding company (also known as Majid Al Futtaim) is mall-operator that runs several properties across the Middle East, North Africa and Central Asia, including Mall of the Emirates (with an indoor ski slope) and Carrefour hypermarkets. Forbes says his son Tareq is a non-executive board member. Futtaim plans to open the Mall of Egypt in 2016. Forbes highlights that the company is among the most transparent conglomerates in the UAE, publishing its revenues and net profit annually. #2 Abdulla bin Ahmad Al Ghurair & Family slip down a rank this year, having topped the UAE billionaire rankings last year. Forbes estimates his current net worth at $4.9bn, down from $6.4bn last year. Forbes says that, in July 2015, Abdulla Al Ghurair pledged one-third of his group's assets to a foundation that will invest in education programmes in the UAE and Arab countries, including scholarships. 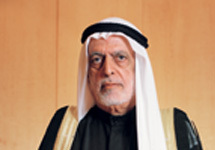 In 1967, Abdulla founded Mashreqbank, now one of the country's leading banks. He is the bank's chairman and his son Abdul Aziz is CEO. The family's holding company is diversified, with interests in food, construction, and real estate. 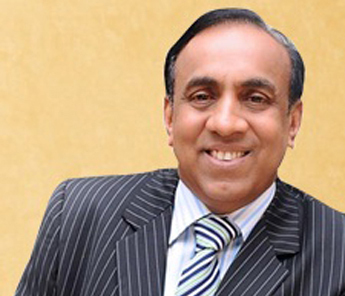 #3 Rounding up the Top 3 billionaires in the UAE is the Indian-born, Dubai-based Micky Jagtiani, who ranks #338 globally (#291 in 2015) whose current wealth is estimated at $4.4bn by Forbes, down from $5.2bn last year. “Retailing magnate Micky Jagtiani’s Dubai-headquartered Landmark Group, the Middle East retailing giant he founded and chairs, has latched onto e-tailing with landmarkshops.com,” says Forbes. Landmark has close to 2,000 stores generating an estimated $6 billion in revenues annually, across the Middle East, Africa and India, it says. 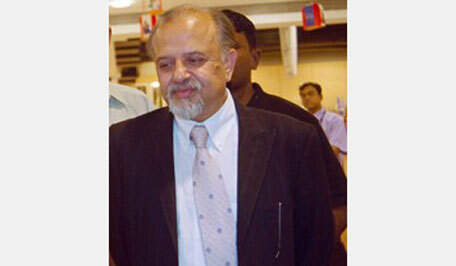 Wife Renuka helps him run the retailing empire, which also has interests in hotels, fitness gyms and confectionery. Jagtiani also owns a minority stake in British retailer Debenhams. #4 At No. 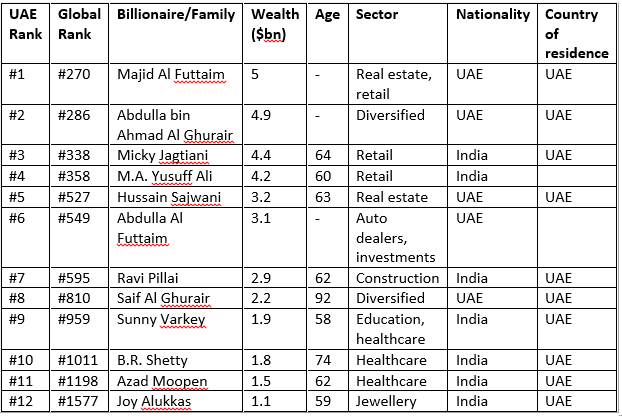 4 among the UAE’s richest people is India-born and Abu Dhabi-based M.A. Yusuff Ali with a net worth of $4.2bn, hugely up from $2.5bn last year. He is ranked #358 globally, up from #737 last year. “Gulf-based retailer M.A. Yusuff Ali chairs the $6.3 billion (revenues) LuLu Group whose flagship is the low-price LuLu retail chain with 121 hyperstores, supermarkets and grocery outlets, and a dozen shopping malls, mainly in the Middle East and Asia,” says Forbes. The group expanded into North Africa, opening its first hypermarket in Egypt last year and plans to invest $300 million to build nine more. “His hospitality arm Twenty14 Holdings has been on a buying spree picking up such trophies as the iconic Scotland Yard building in London, which it plans to convert into a luxury hotel,” says Forbes. Back home, Ali says he will invest more than $500 million to set up malls, a convention centre, hotels and food processing plants in southern and northern India. #5 Making a debut on the UAE rich list this year is Hussain Sajwani, who also rounds up the Top 5 billionaires in the country. “Hussain Sajwani founded residential real estate developer Damac Properties in 2002, taking advantage of a Dubai government decree that allowed foreigners to own property in the emirate. Buying land in a then-undeveloped part of town, he managed to sell his first, 38-storey residential building in less than six months – before he struck ground to start constructions,” the magazine says. “Sajwani has since helped burnish Dubai's image as a glittering destination. Damac has teamed up with global luxury brands Versace and Fendi to design apartments, and Donald Trump to develop golf courses,” it adds. Marketing gimmicks include a free Lamborghini or BMW for apartment buyers every January. He started out in the food service business, attracting clients such as the US military and construction giant Bechtel. He still owns the food service firm. #6 Ranked at No. 6 among the UAE’s richest is Abdulla Al Futtaim (#549 globally), with his current wealth estimates at $3.1bn ($3.2bn in 2015). He slips down one notch in UAE rankings this year. 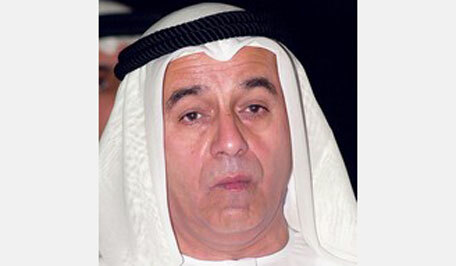 “Abdulla Al Futtaim owns conglomerate Al Futtaim Group, which is run by his son Omar. It is the exclusive distributor of Toyota and Honda vehicles in the UAE, and sells Toyotas in Egypt. In addition to its automotive business, Al Futtaim owns the franchises for Ikea, Toys "R" Us, and Marks & Spencer, which anchor its real estate developments, including Dubai Festival City and Cairo Festival City. Al Futtaim is the brother of Majid Al Futtaim, also a billionaire,” says Forbes. #7 Following him at No. 7 in the UAE is Dubai-based real estate tycoon Ravi Pillai, with a net worth of $2.9bn ($2.4bn last year). He is ranked #595 globally, up from #782 last year. “Farmer's son Ravi Pillai migrated to the Middle East and got into construction. His RP Group derives more than 70% of its $4.8 billion (revenues) from construction firm Nasser S. Al-Hajri corp., named after his local Bahrain partner. The group expanded into Kuwait last year after securing three projects from the Kuwait National Petroleum Company. 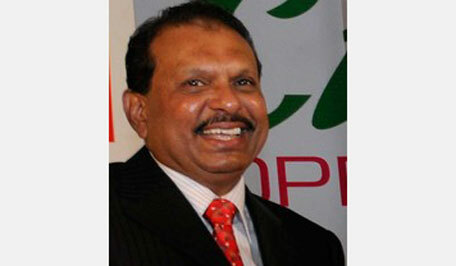 Pillai, who travels incessantly, has big plans for real estate, including building a 110-storey tower in Dubai. The Kerala state native has been investing back home, with stakes in banks, hotels, malls and schools. Makes a point to visit the Tirumala temple in Tirupati, in south India on his birthday,” says Forbes. #8 Saif Al Ghurair, whose brother ranks No. 2 among UAE’s richest, is at No. 8 in the country and #810 globally. His net worth is estimated at $2.2bn by Forbes, down from $3.4bn last year. 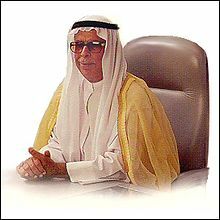 “Saif Al Ghurair is the former chairman of family holding company Al Ghurair Group. He and his brother Abdulla, also a billionaire, are scions of an old Dubai merchant family that originally harvested pearls from the Arabian Gulf. A stormy boat trip to India in the 1930s to sell dates left him blind in one eye. Saif's six sons hold positions in the group, which has interests in banking, steel, and packaging. 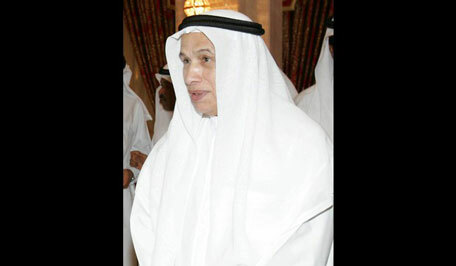 His son Abdulrahman is chairman and son Majid is chief executive. Saif is also a major shareholder in Mashreq Bank, a leading Emirati bank run by his nephew, Abdul Aziz Al Ghurair,” says Forbes. #9 Education czar Sunny Varkey is ranked at No. 9 in the UAE and #959 globally (#949 last year). The net worth of the founder of the world’s largest KG-to-Grade 12 school operator is estimated by Forbes at $1.9bn, down from $2bn last year. 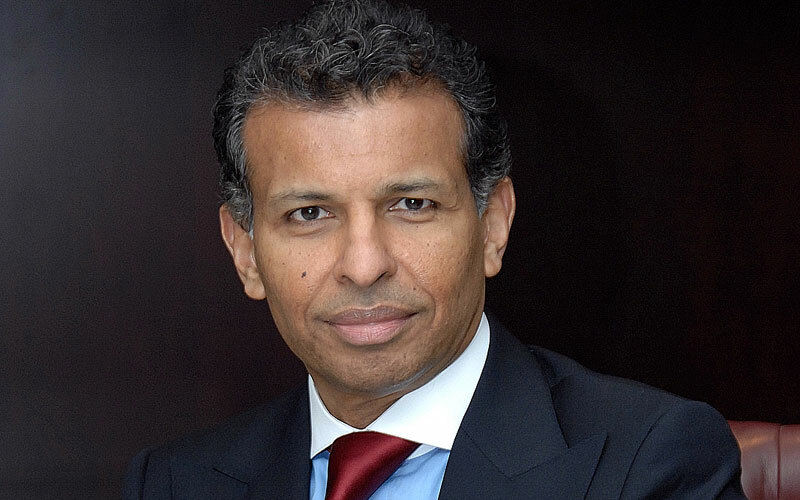 “Son of emigre teachers, Sunny Varkey built his family's 55-year old Gems Education into the largest network of private K-12 schools in the world, present in 19 countries across the Middle East, Africa, Europe, Asia and North America. It has 140,000 students enrolled in 78 owned schools and 60 schools under management. 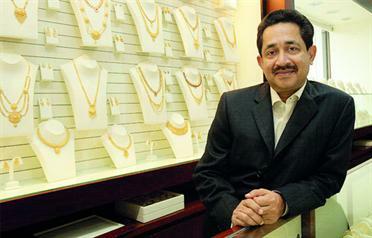 Gems also has over a 100 schools in his native India and is planning a big push in Africa,” says Forbes. Varkey Group is the umbrella organisation covering Gems Education and Varkey’s other businesses, including healthcare and, previously, construction. 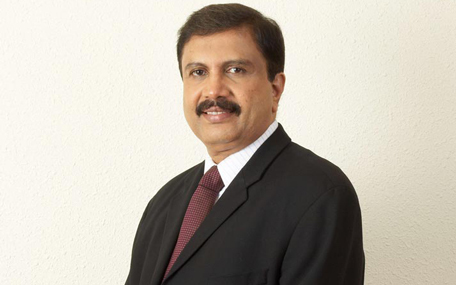 #10 Rounding up the UAE’s top 10 wealthiest people is another self-made Indian expat, BR Shetty, who has interests in healthcare and foreign exchange remittances. 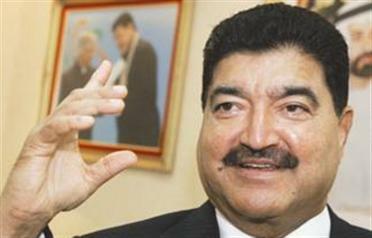 With a net worth of $1.8bn ($1.7bn last year, Shetty ranks at #1011 globally (#1118 last year). “Former pharma salesman B.R. Shetty, who immigrated to Abu Dhabi in 1972, is expanding his healthcare and financial services empire through acquisitions,” says Forbes. His London-listed NMC Health, UAE's largest private healthcare provider, has been on a buying spree, snatching Americare Group, which provides in-home health care services, Sharjah-based Dr. Sunny Healthcare Group and Provita International Medical Center. His remittances firm, UAE Exchange is reportedly planning a London listing this year. “Prized toys include several Rolls-Royce and Maybach cars,” says Forbes. #12 Also making a re-entry in the UAE rich-list this year and rounding up the country’s billionaire list is Joy Alukkas, son of a jewellery store owner. He dropped out of school to come to the Middle East to open the family’s first overseas store in 1987 in Abu Dhabi. “Broke off to launch his own Joyalukkas brand which now has over a 105 outlets spread across India and nine other countries in the Middle East, South East Asia as well as the UK,” says Forbes. Other interests include an expanding money exchange, luxury aviation, malls, silks and, more recently, real estate.